Now that I no longer need to draw inspiration from wedding blogs (though I can’t quite drag myself away from all of them), I have turned my attention to food blogs. And last week the foodie blogosphere erupted with news that Condé Nast is ceasing publication of Gourmet. Gourmet was the kind of food magazine that transcended recipes; it discussed politics and science. With lovely photography, I must add. I wasn’t a regular subscriber, but whenever I picked up an issue, I was transported to France or Kenya or Asia. Because what is a fondue or a chutney or a miso without the story of where and how the dish originated? To celebrate Gourmet, Julie of A Mingling of Tastes, arranged a blogging event. Two of my bloggy friends, Amy I and Maggie, tweeted that they were participating, and I was inspired to join the tribute, as well. 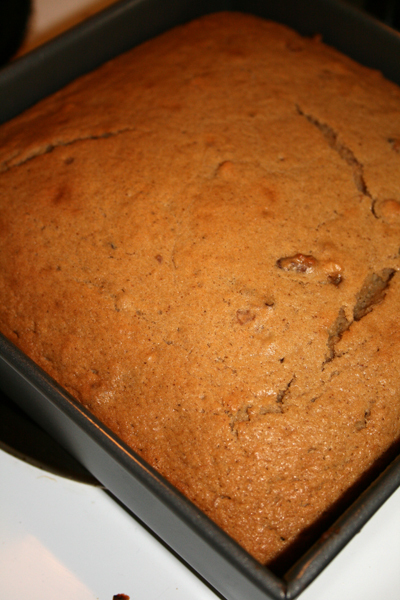 I chose a recipe that speaks to the cooking style of The Culinary Couple: simple, seasonal, and sweet. Unfortunately, my culinary companion is still living in a different state (but only for two more weeks! 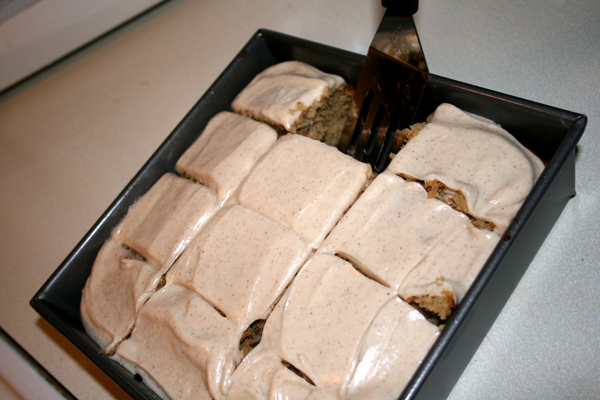 ), and so I tackled the spiced apple cake with cinnamon cream cheese frosting on my own. Preheat oven to 350°F with rack in middle. 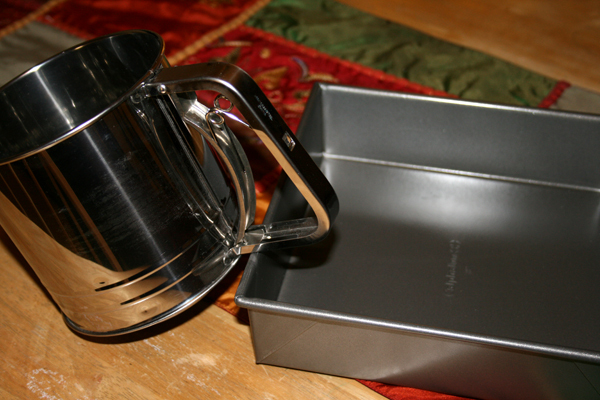 Butter an 8- or 9-inch square cake pan. 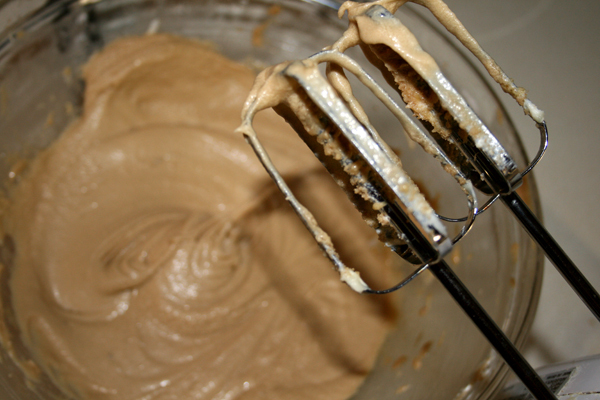 Beat butter, brown sugar, and vanilla with an electric mixer at high speed until pale and fluffy, 2 to 3 minutes. Add eggs 1 at a time, beating well after each one, then beat in applesauce. At low speed, mix in flour mixture until just combined, then stir in walnuts (if using). Spread batter evenly in pan and bake until golden-brown and a wooden pick inserted into center comes out clean, 40 to 45 minutes. Cool in pan 15 minutes. Run a knife around edge of cake to loosen, then invert onto a plate. Reinvert cake onto a rack to cool completely. Beat cream cheese, butter, and vanilla with an electric mixer at high speed until fluffy. 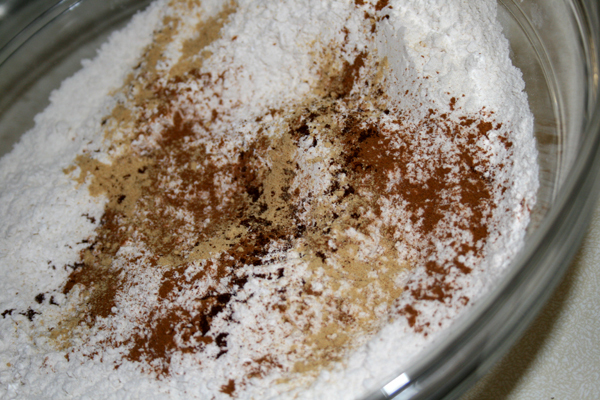 Sift confectioners sugar and cinnamon over cream cheese mixture, then beat at medium speed until incorporated. 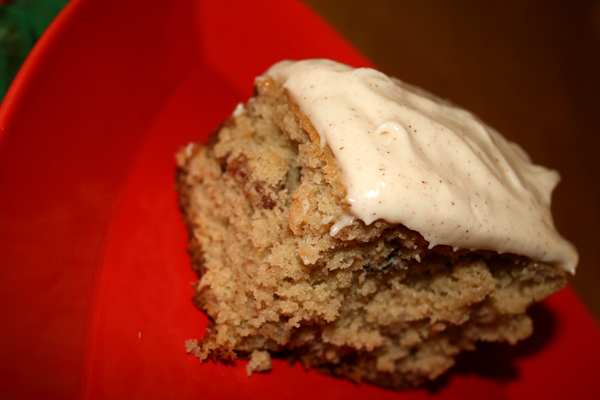 The cake is moist and dense and tastes like Autumn, and the frosting is just spicy enough. But it was definitely too much for one person to consume. And so, in the spirit of Gourmet, I shared the creation with friends. Thank you, Gourmet, for sharing so much — delectable recipes, travel secrets, international food policies, and more — during your almost 70-year life. You will be missed. I love your contribution – these looks divine! So happy to have found this fantastic blog, too! You guys are adorable.